No one laughs and there are no surprises. We know there is a great tragedy driving much of a film being defined, in some circles, as an alternative to the rounds of press and publicity normally accompanying a new album. The album is ‘Skeleton Tree’ and it is an incredible piece of work. Not only is it hard to imagine there will be a better record this year, it is hard to remember a better album in the past decade. Understanding there is the unimaginable sadness of the loss of Arthur Cave, one of Nick Cave and and Susie Bick’s twin sons, there is instilled a preconception that this will be a difficult film to watch. It is indeed difficult, but in a very intimate, empathetic and enduring way. To briefly lay out the style of the film, it is black and white with the exception of one song (I won’t spoil it), and it can be seen in 3D (and 2D). The 3D always has a risk of feeling gimmicky, but not on this occasion. It is used to create an intimate focus on the subjects and give the audience much of the emotional drive behind the words. The 3D is also used to enhance the music, complimenting the sounds and visualising the words. The film itself is part documentary and part videos to accompany the album. The film is very thoughtfully mapped out despite it seeming to be quite reactive to the environment at times. 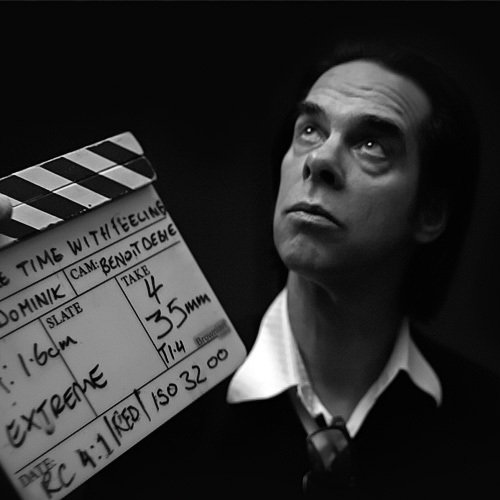 The journey begins with some interview footage of Warren Ellis which needs to be re-shot and then Nick Cave getting ready in a hotel room which again needs to be re-shot. As suggested by the subjects it does feel that this is a deliberate tactic by the filmmakers to raise the tension, but its inclusion would suggest otherwise. The first hour of the film is camped largely in the studio watching discussions about the songs, some narration from Cave and the performances of each song in order from the album. We learn some very personal aspects of this process from the start. 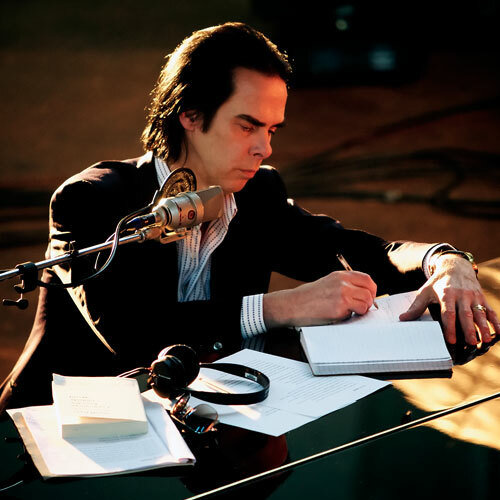 Nick Cave is still very lost in his world. He doubts himself, he is angry and he is critical of himself in a series of brief monologues; annoyed he hasn’t warmed up his voice, irritated by re-recording the vocals, struggling to find the right chords . This uncertainty very quickly uncovers a very important element of ‘Skeleton Tree’ - musically this is part Warren Ellis’s album, or at least he had to wrap his arms around his friend and allow him the freedom to find the right words by driving the music towards the emotions of the lyrics. Actually, the truth is that all The Bad Seeds, having worked with Cave for many decades, will have felt their own personal grief at his loss and each find their own way to express this. This album comes from a lonely place, a lonely time of reflection in the company of other lonely people finding paths to some light. It is a path for them all that you feel still has some time to go. As the first hour reaches an end it becomes quite difficult to continue watching and you feel that this is a deliberate ploy. The impersonal studio environment breeds solitude, tension and enables focus on the music while shutting out the world. Musicians often value this time because it allows them to reflect uncluttered on their art. In this situation it begins to feel like a self imposed prison - they need to survive to make this music happen - to not allow the emotions to escape and breathe adds to the fruitful outcome of the sessions. Just as it becomes unbearable, with the 3D increasingly being used to create a visual whirlwind and less to portray intimacy, we find ourselves in the relative calm of the Cave home. It is at this point that they begin to talk directly about Arthur Cave and tellingly it is the introduction and involvement of Susie Bick that brings a more reflective and sober Nick Cave. We suddenly get an intimate portrait of a family holding each other together and supporting their own individual and collective needs to get over their personal tragedy. It is a brave and raw piece of film interlacing the emotions of two grieving parents with the relatively hollow footage of the filmmakers making slight adjustments to the stark white space to portray a warm family home. Moving the bike in the hallway to the laying out a set of wellington boots by the front door, there is great warmth in the home which you feel has struggled to find itself since the death of Arthur. It is difficult to review this as just a film because of both the real story it is telling and the platform it is in introducing the new album. But as a film, as a piece of storytelling, as a document of a time in the life of one of rock’s greatest artists, it is a sad but major triumph. We end with what must be one of the most personal items left behind by Arthur Cave and a haunting vision of a life he may have had ahead of him. However it is interpreted by each individual who watches it, it deserves to be watched and if you allow it in it will leave you emotionally heightened and physically drained in the best and worst possible ways.